The General Services Administration has selected General Dynamics‘ information technology business to offer a range of cybersecurity services under four special item numbers of GSA’s IT Schedule 70 contract vehicle. General Dynamics said Thursday it is one of 20 companies that have been authorized to provide services to the government under all four “highly adaptive” cybersecurity service SINs. GSA created the four HACS SINs in September last year to comply with the White House’s Cybersecurity National Action Plan. 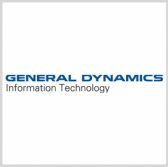 The General Dynamics Information Technology unit will offer support to government agencies through the penetration testing, incident response, cyber hunt and risk and vulnerability assessment SINS.